We want to spread the love for email marketing with our top performers on this Valentine’s Day! Your clients will love to see that email notice from you if you follow this tips we have for you! ♥ If you have any comments or questions, please email us at connect@thebdx.com with your feedback! Subject Line: You’re Invited to a VIP Realtor Event & Cocktail Hour! For events, make sure you include an RSVP that stands out from the rest of your design, along with the date, time and place it will be held to maximize the number of signups! Subject Line: Realtors Receive one month commission at The Link! A top reason for agents to unsubscribe is due to poor design. More time spent on your marketing can equal big gains in terms of performance. 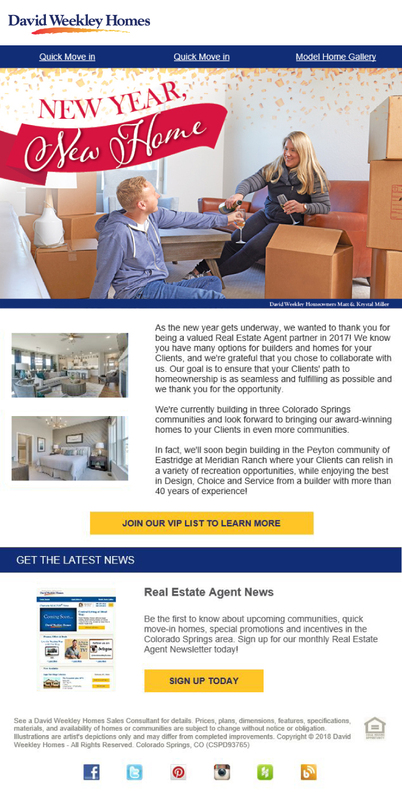 Subject Line: David Weekley Homes is Growing in Colorado Springs! The best way to express yourself is with a short and to the point message. David Weekley continues to appear on our top list by keeping it simple and having the details on a well located call to action (button). 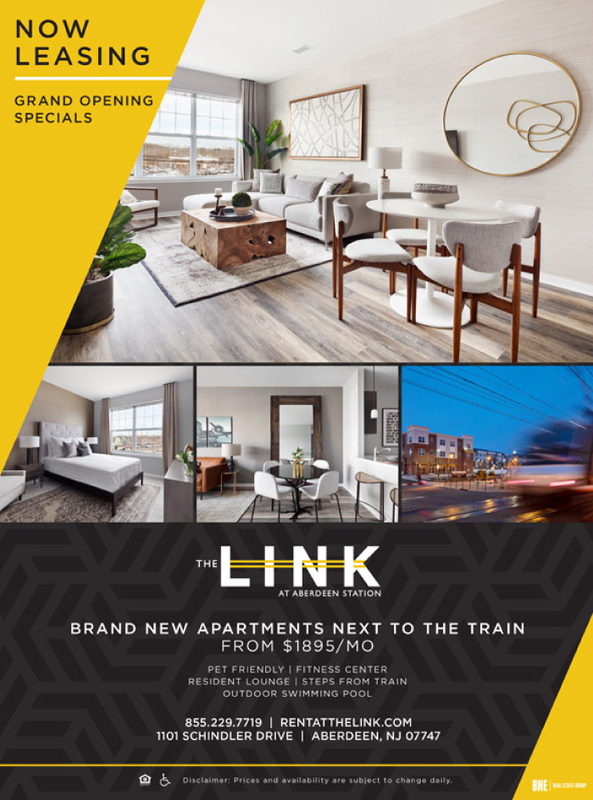 Promotions are a good way to catch your agent’s eye, so make sure to clearly outline the terms as this Drees campaign does so well. Don’t be afraid to spice up your design as NVP did here – a festive flyer can put your audience in the spirit of the season.